One of the most heart-warming tendencies of today's contemporary indie musicians, particularly the alt-country set, is their eager willingness to reach back across generations and selflessly lend a hand to elder greats. Wilco's Jeff Tweedy has done so recently, partnering with Mavis Staples for her latest release and concert tour, and The Drive-By Truckers have done so multiple times over the past few years, playing with Booker T at the 2009 Coachella Festival, and backing soul great Bettye LaVette on their fine 2008 joint effort The Scene of the Crime . But of all these recent cross-generational collaborations, none come close to matching the transcendent, life-affirming power of Roky Erickson and Okkervil River's True Love Cast Out All Evil. The tragic turns in Roky Erickson's life have been well documented in both print and film, but for the uninitiated, Erickson was the lead singer for the 1960s Austin-based psychedelic band 13th Floor Elevators. Sucked into a scene of copious drug use while still a teenager, Erickson was busted by local law enforcement in 1969 for possession of a single marijuana joint...a crime for which he would go on to serve over three years in Rusk Maximum Security Prison for the Criminally Insane. Erickson turned to music and religion while imprisoned, penning hundreds of songs and even becoming an ordained minister, but the experience left him a broken man. He would spend the next thirty years in and out of psychiatric institutions, battling full-on schizophrenia, and getting ripped off by shady managers and promoters willing to exploit his condition and name. By the end of the 1990s, he was living on welfare, locking himself away, toothless and in deteriorating health, in a tiny Austin apartment and blaring multiple televisions twenty-four hours a day to drown out the many voices in his head. Finally, in 2001, Erickson's brother Sumner was able to obtain legal guardianship of Roky, and a slow but miraculous healing process was begun...culminating in this triumphant comeback collaboration with Okkervil River. From the opening notes of the haunting Devotional Number One, which takes an original prison recording and then seamlessly merges it with a contemporary re-recording to pull us into the present, it's clear album producer and Okkervil leader Will Sheff isn't going to let Roky off easy. Rather, curated by Sheff primarily from material Erickson wrote while in prison, True Love's twelve songs dive head first into Roky's ordeal. Many of the tracks are surprisingly uplifting...weary but ultimately optimistic gospel-flavored mantras Roky leaned on for spiritual survival...but others are harrowing. Goodbye Sweet Dreams echoes Roky's descent into madness. The spiteful John Lawman, aimed at the officers who originally arrested Roky, seethes with still undiminished rage. And the heart-breaking, gut-wrenchingly slow Please Judge, written from Roky's mother's perspective as she begs for leniency at the moment of his sentencing, is simply devastating. 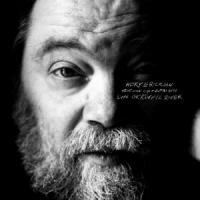 Throughout, Sheff adds in all manner of subtle but sophisticated production touches to further mirror Roky's experience, from the previously discussed transitions into and out of original prison recordings, to ghostly echoes of old performances and the cacophony of the inane television chatter Roky relied on so heavily in his darkest hours. And then there's the phenomenal Think Of As One. Buoyant and rousing, with its effortless Exile On Main Street-styled groove, it initially plays like another one of True Love's crowd pleasers, a seemingly simple call for communal unity. Then one further ponders the song's refrain of "one is one / another is another / your father is your father / your mother is your mother / your sister is your sister / your brother is your brother/ one is one / another is another," within the context of Roky's life and comes to a terrifying realization: This song has nothing to do with evoking a communal spirit, it's a survival mechanism for a schizophrenic mind. Of such simple and simultaneously profound moments is this entire album made, and both Roky and the entire crew of Okkervil River should be celebrated for its mere existence. So if you're in the mood for something in a shaggy alt-country vein that is elemental, moving, and out-and-out human, there's no release I can more enthusiastically recommend right now than True Love Cast Out All Evil. ...but it is very, very special. Cherry Picker's Best Bets: Goodbye Sweet Dreams , Please Judge , John Lawman , Think Of As One. Here's the a music only video for Goodbye Sweet Dreams. What are your thoughts on Roky Erickson and Okkervil River's True Love Cast Out All Evil? Let readers know with a comment.